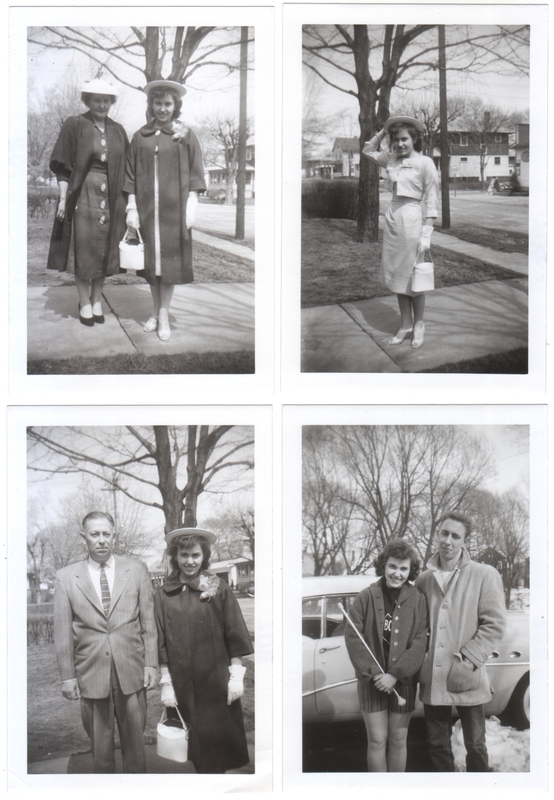 Four photos, each measuring 3.5 x 5 inches. I don’t have much to say about these. I was just in the mood for something newer and more candid. These fit the bill. I have five photos of this girl posing with people in her life. The fifth one didn’t fit in the scanner, and didn’t quite fit the visual pattern, so I’ve posted it separately here. 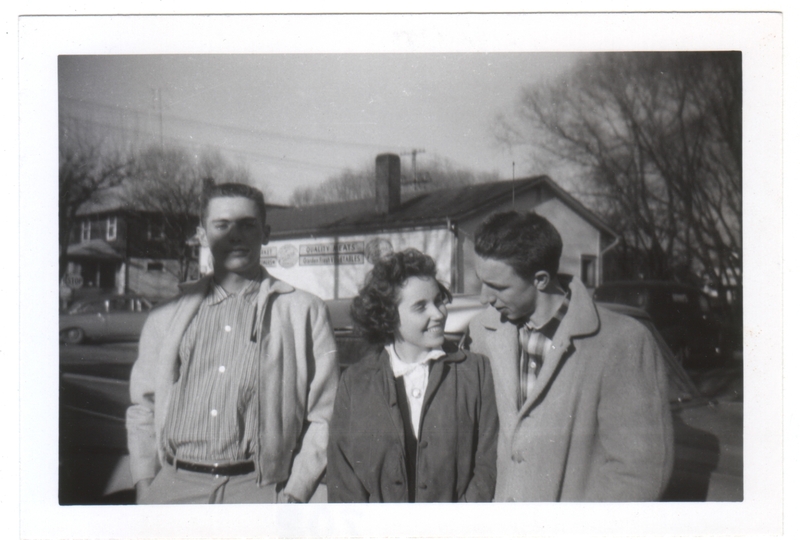 Shall we assume these are her parents and her boyfriend? It’s anybody’s guess who that extra guy is in the fifth picture. It’s fun to see the contrast between the dressy and the casual looks. I feel a little sorry for her for having to wear that skimpy cheerleading outfit in the snow, but she looks happy and game for anything.